We would like to give a HUGE congratulations to Joe Betten on his purchase of SH Cold Hard Cash. “Cash” as he is lovingly called at the barn is a 2013 Half-Arabian gelding by Noble Iceman (a full brother to Nobles Top Gun) and out of the Quarter Horse mare, Jerrys Nu Cash. 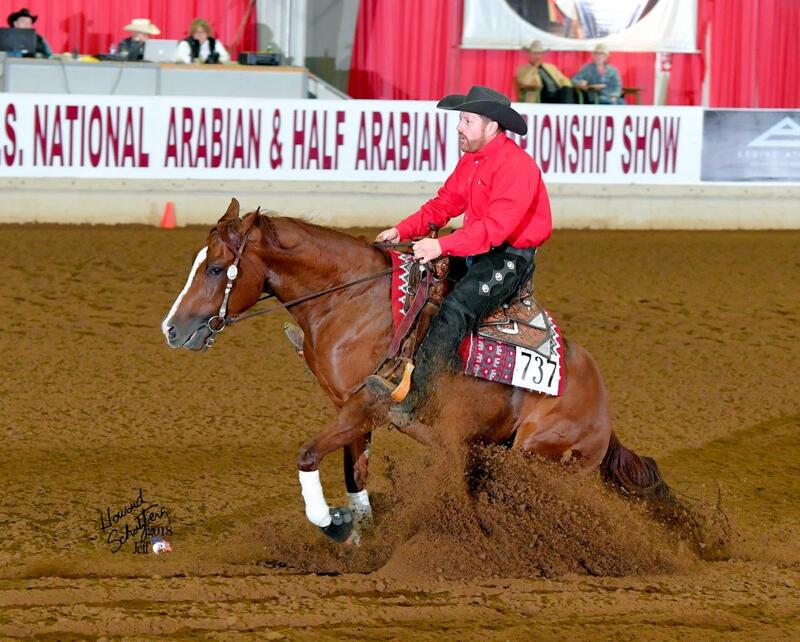 Jerrys Nu Cash is by Jerry Lee Surprise who has produced many successful reiners in the NRHA show pen so it was no surprise at the amount of talent that Cash had. 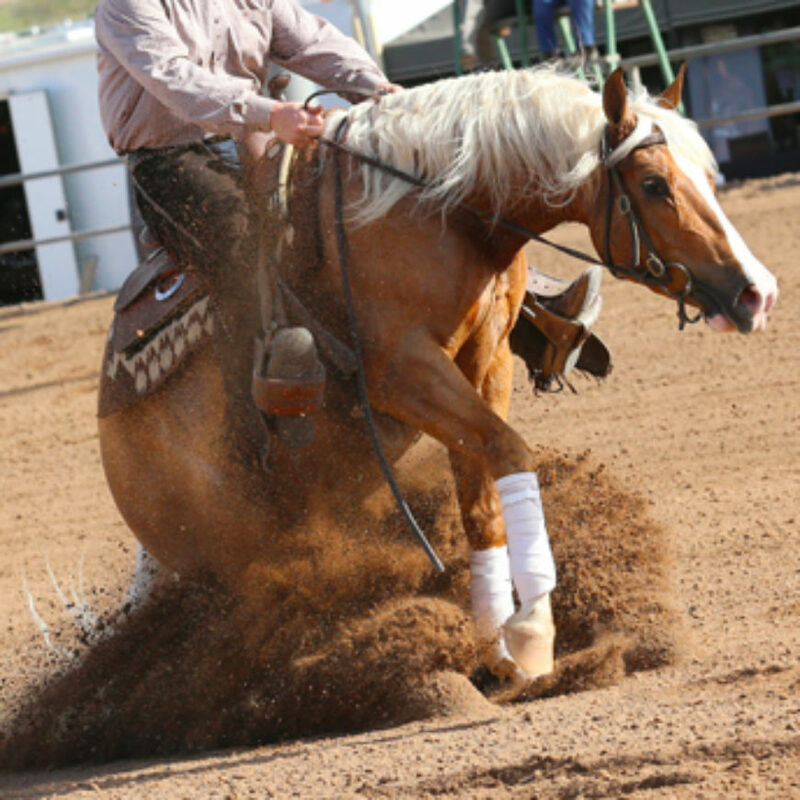 Cash was bred by my dad, Dave Kent, at Sage Hill Arabians and came to my barn late in his three year old year. 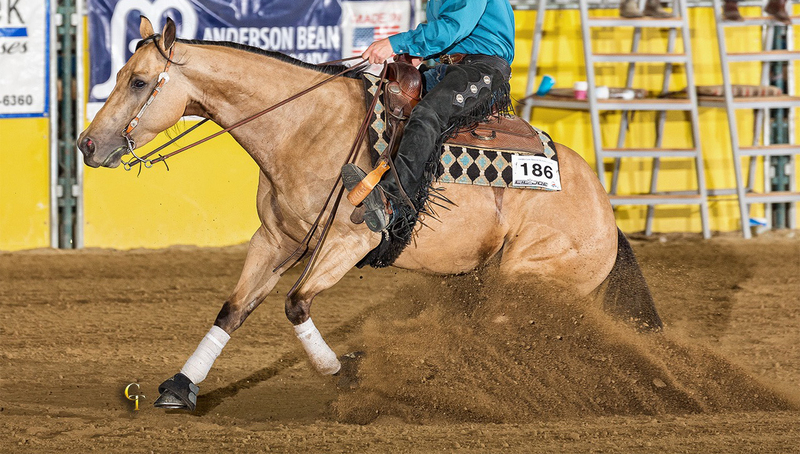 Before getting two Top Tens at U.S. Nationals this year in Half-Arabian Reining Junior Horse and Futurity, Cash was two time Reserve Champion at Region IV in Nampa, Idaho earlier this summer. 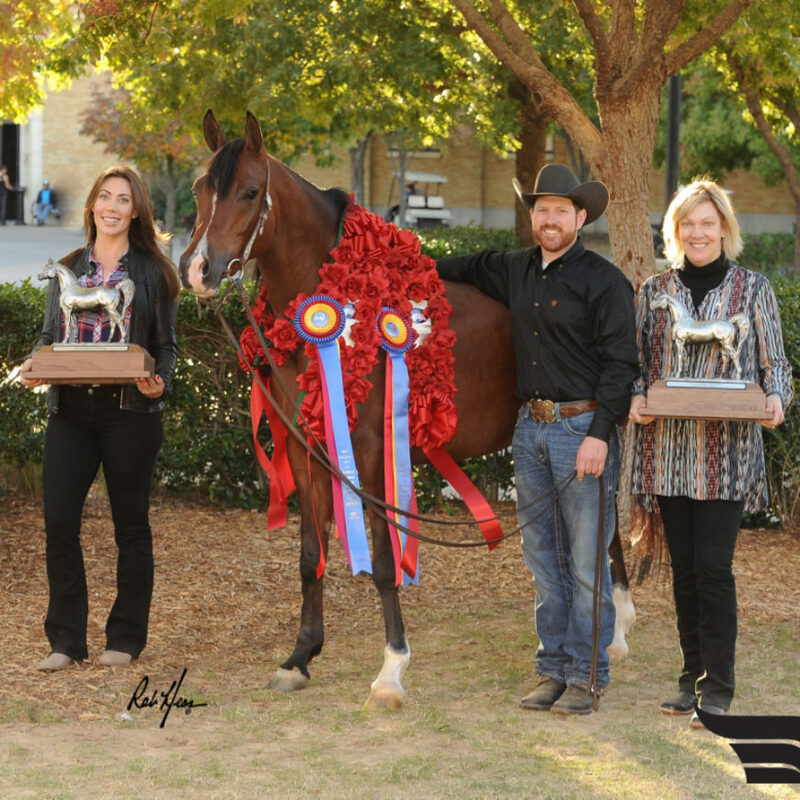 He has been a great horse to be around and we know that Joe will be very happy as they continue their show season together. We would like to extend a very special thank you to Crystal McNutt for her assistance in this sale. 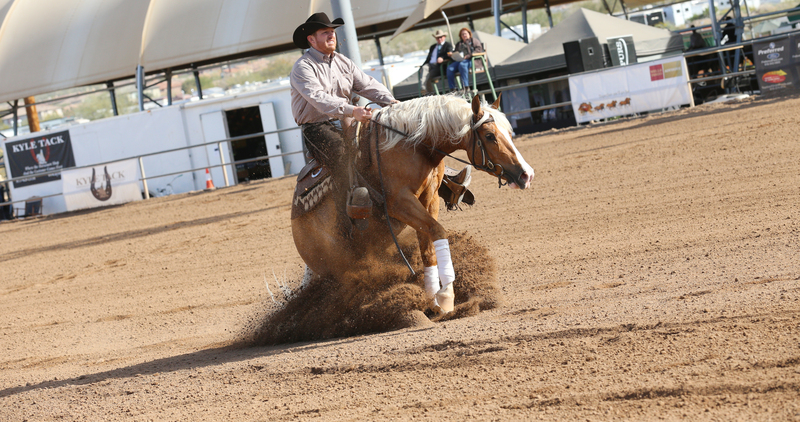 If you would like more information on how to get your next reiner feel free to give me a call anytime at, 208-890-2853 or search our sale horse page here.